So nice to see you last summer! 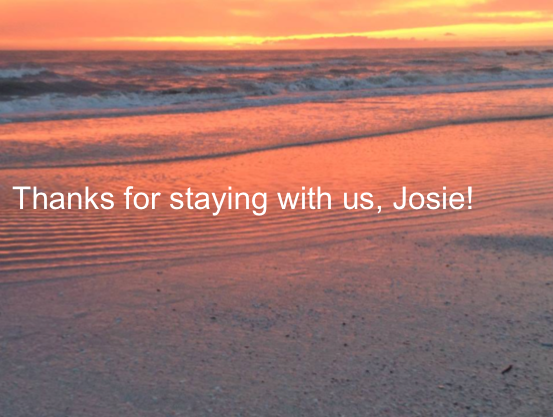 Thank you for choosing our condo for your stay on our beautiful island, Josie! 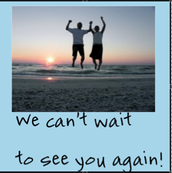 We hope that you will stay with us for your next vacation, too. 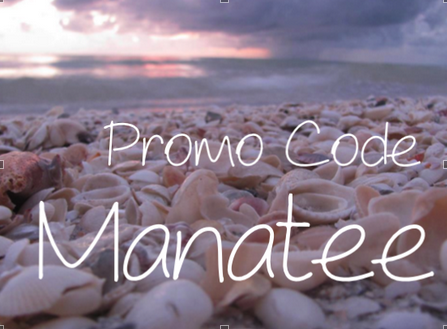 Come back and save $100 off of high-season weekly rates or $50 off of low-season weekly rates when you book directly with us; just use the promo code MANATEE when you click on our VRBO or Homeaway listing. The first thing we check! 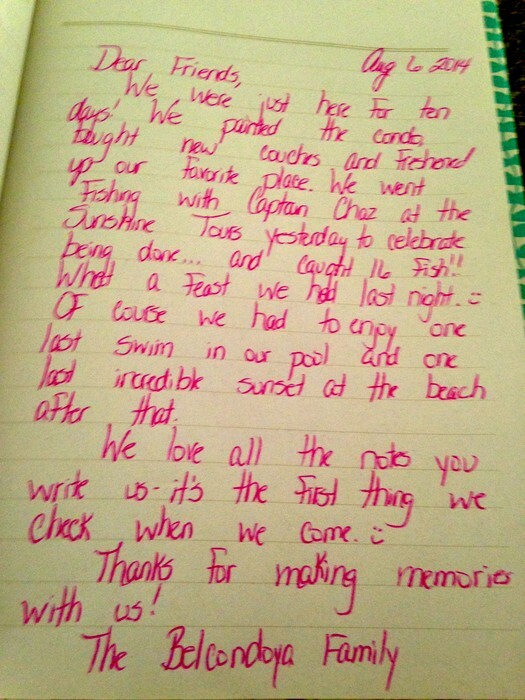 A sweet note from some wonderful guests! What a way to make our day! 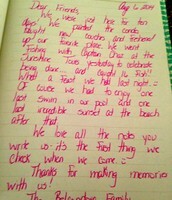 We love reading your notes to us! 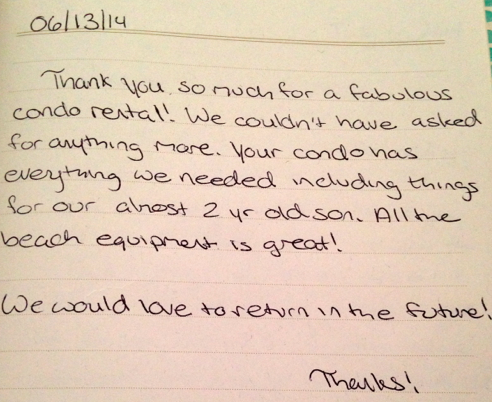 We hope that everything met or exceeded your expectations. We always appreciate feedback from our guests to better understand what they liked or any areas for improvement, so please feel free to contact me with any feedback regarding your stay. If only others could see these notes! 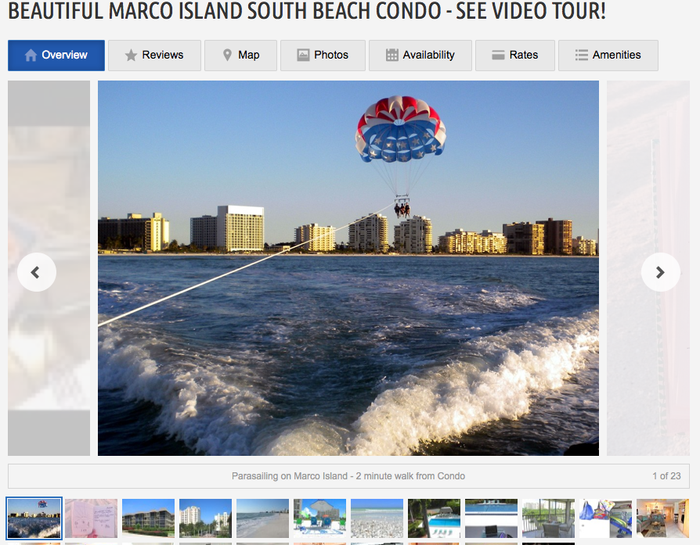 Reviews are helpful for potential guests who are trying to compare different rental properties. 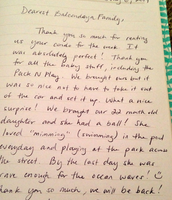 If you would be willing to write a review for us on our HomeAway/VRBO site about your stay, it would be very appreciated. 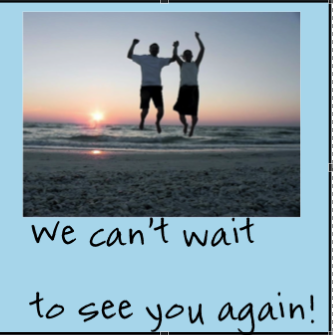 Simply click here and insert your review/comments and rating on a 5-point scale regarding your stay, your review will then appear on both our HomeAway and VRBO site since they are linked together. 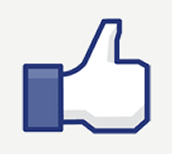 If you want to keep up with Belcondoya online, you can like us on facebook. If you would like to add any information or pictures to our Belcondoya facebook page that other families would find fun or helpful, that would be wonderful! 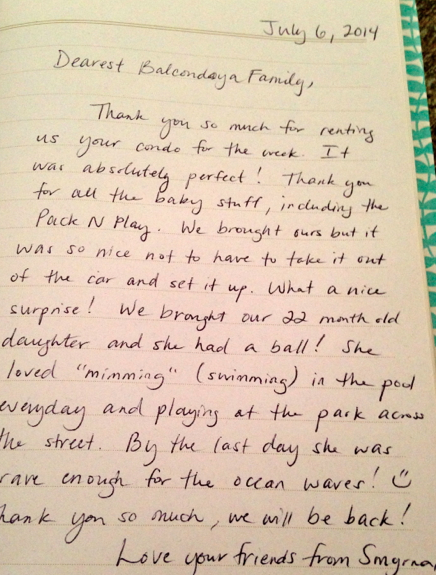 Thank you again for choosing our condo for your vacation, and we hope we get to see you again next year.